In London, life seems to be a little more relaxing, a little extra rejuvenating and apparently, full of enthusiast. It’s its ambience beauty which smoothes the minds and soul both simultaneously. Seriously, being in London is no less than being in a dreamy ecstasy. That’s why people from far and wide, visit in tons to revivify their boredom life. 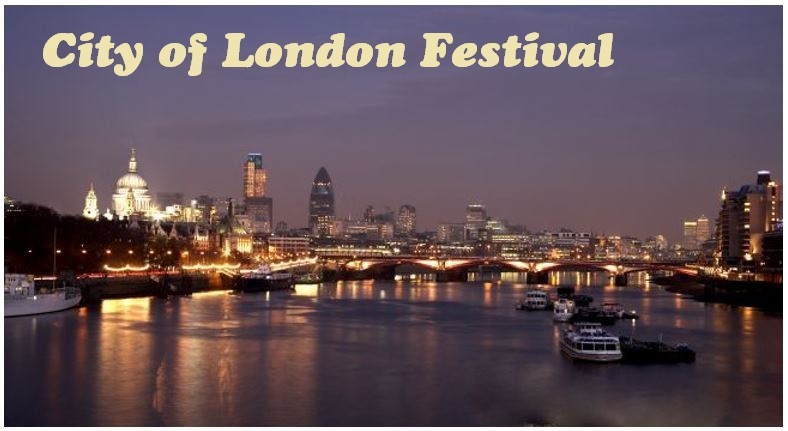 If you too are looking for the same, “City of London Festival 2015” from 22 June to 10 July 2015 will be grasping your dreamy bubbles with their varied series of events, shows, arts and the venues-experiences. The 19 days long-running festivals and events will be bringing some uniquely amazing activities which you often not found around you. Since tickets are on short, you should book your space now to watch your favourite event which would be taking place in some of the finest venues of the region all around this summer season. So let’s just move their and enjoy them to the fullest. Check out the sneak peak of some of those wonderful London festivals 2015, going to take place in city of London festival 2015. At Danish String Quartet event, you will have fun with a wonderful classical music programme of amazing classical music combined with Nordic folk tunes in the graceful surroundings of Plaisterers’ Hall. For the very first time, The London Symphony Orchestra will be performing live in St Paul’s Cathedral on 24th June, Wednesday at 8pm. Don’t forget to check out the glamorous performance of Haydn’s “Creation” under the truncheon of vibrant Edward Gardner. Tighten your seat belts as the renowned pianist Melvyn Tan and T’ang Quartet, the two most sought after talents will be performing all together as a part of the city of London festival 2015. Both the artists will be offering a construal of a great classical compilation impeccably a unification of western and eastern music influencers. Being a true music lover, you won’t love to miss this magical evening with the presence of power packed performances of the dynamic songs of the Wolf, Schumann and Gulda, some of the greatest composers of all time. Apart from that, there are many other events which will be taking place at the city of London 2015. Check them out. For tickets and other details, visit here.